Brimful Curiosities: Wordless Wednesday - Peek-a-BOO! 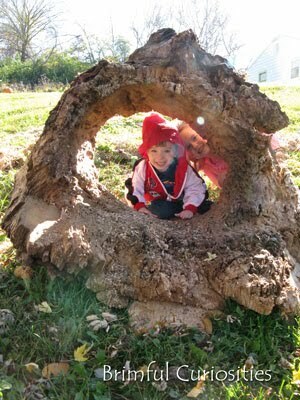 View through a hollow tree piece on my grandparents' farm. Farms are so much fun! We are lucky to live in a rural county in an urban area. That means we can spend the day on the farm but still shop at Target! So fun! That's so nice that you have family that has a farm. Your kids can roam. Great place to take a photo.